Loyalty: Stories, a docu-series directed and produced by David Washburn, will world premiere in a short film format at the 2018 Meet the Press Film Festival in collaboration with the American Film Institute. The film screens at the fest on October 8 at 9PM. It will then be available for streaming through NBC News Digital Apps. Loyalty: Stories is the first documentary film series to capture what life is like for American Muslims in the military. 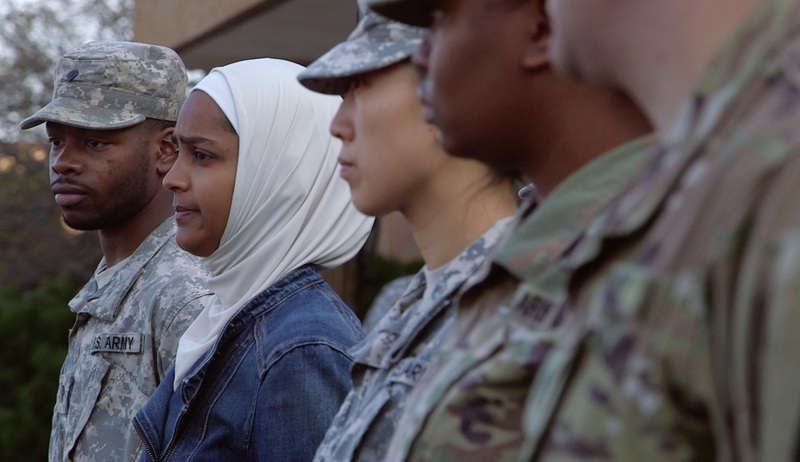 The series takes viewers to military bases and cities across the country to show how Muslims are serving their nation, community and faith. The project features a diverse group of men and women – immigrants, converts, and American-born Muslims – who gave an oath to uphold and defend the Constitution of the United States. The series precedes the Kartemquin in-development feature-length film Loyalty, also directed and produced by Washburn.